We’ve wanted to make an alien for years, but couldn’t come up with a good method for portraying one of its main features, those almond-shaped black glassy eyes. We finally found a source and modeled the head around them. 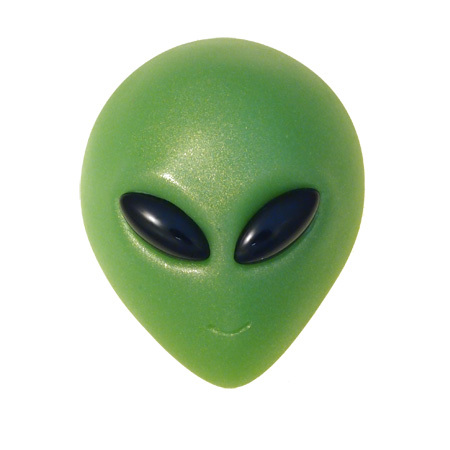 Our alien glows in the dark; something real aliens are envious of. Note, this item was too new to make the catalog.